Getting the color of a pixel on a 3d object is pretty easy, but anyone knows how to do the same thing on the GUI? What I need is a color picker tool. There is a thread about this on the Unity forums that has a clever solution. I'm actually trying to implement it myself right now. For some reason, though, the GetPixel method keeps returning a value I'm not expecting. Ok, here is the solution I use. First, you need to get yourself any color picking texture. I used this one. Now, for some reason the closer I would get to "Black" the brighter the color would get. 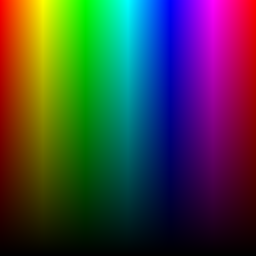 So my solution was to display one texture and read a color from another that was flipped. You drag these two textures into the ColorPicker inspector's respective slots. // "col" is the color value that Unity is returning. I was reading this much interesting thread about color picking, so first of all thanks for this, it saved me some searching. Now, for some reason the closer I would get to "Black" the brighter the color would get. So my solution was to display one texture and read a color from another that was flipped. This will read the texture in the proper direction. Hope it helps..
// read the camera image into it. // Set the display texture to the newly captured image.